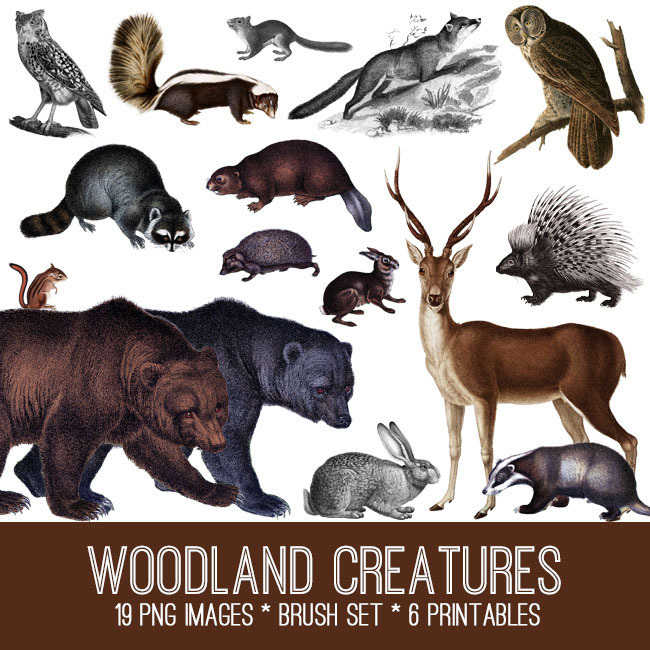 In this collection we are offering 19 High Resolution Images of Vintage Woodland Creatures! 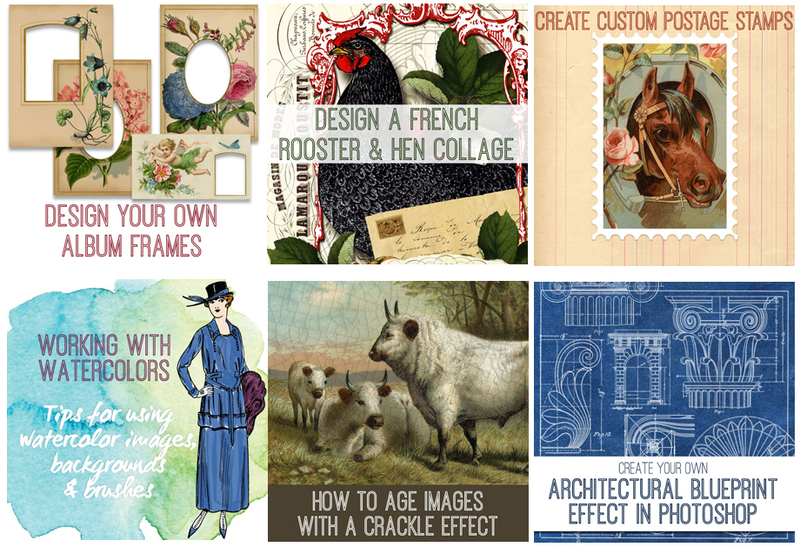 We think you’ll find all kinds of uses for these, that you can use for either your Personal or Commercial Projects! 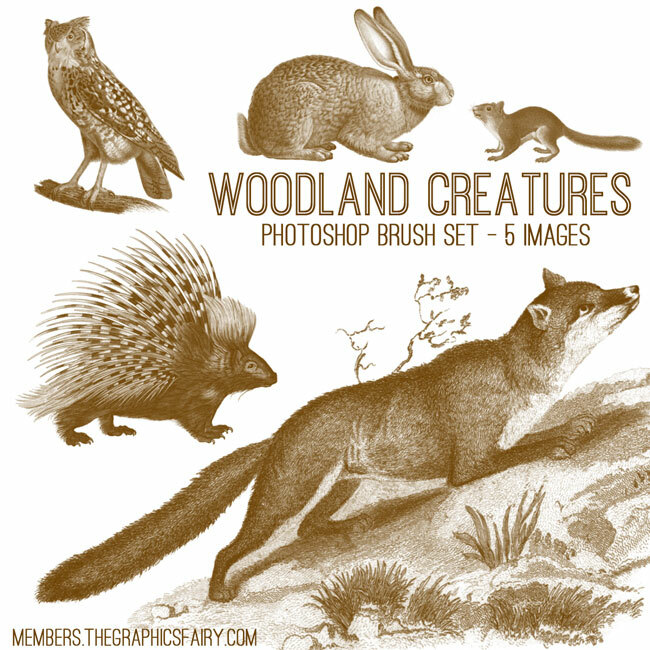 We are also offering the same Images as a Photoshop Brush Set! 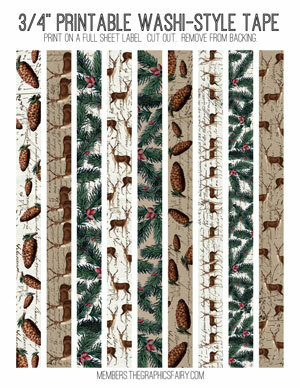 We think you’ll love this great set. What we love about Photoshop brushes is that the images can easily be duplicated, combined, recolored, and re-sized, to give your projects new life. 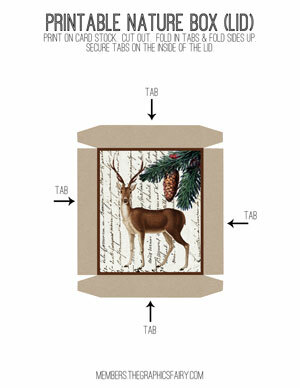 They are like digital Rubber Stamps! 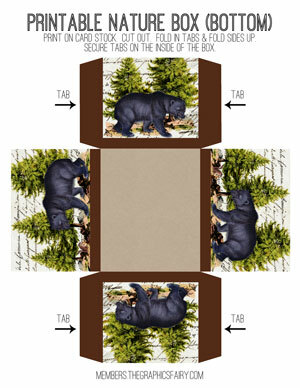 For those of you that prefer Print Ready options, we are offering a 6 fabulous Printables! 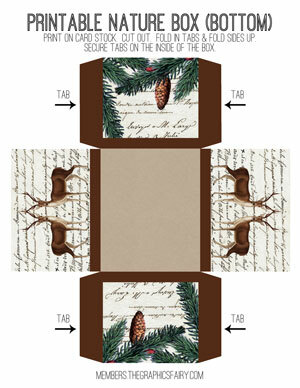 Including Printable Nature Boxes and Printable Washi Style Tape! 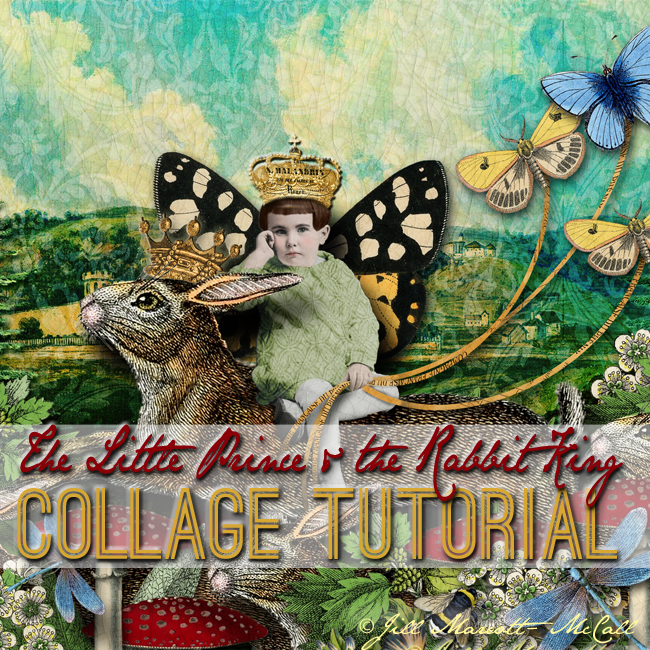 For our Photoshop Elements Tutorial this week, Jill shows us how to make a darling “Little Prince and Rabbit King” Collage Tutorial! 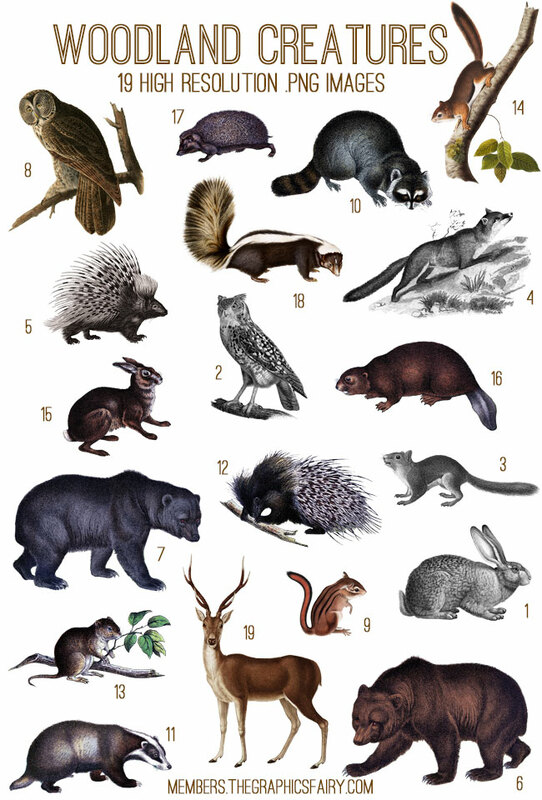 These are just 6 of the 80 Kits that are included! 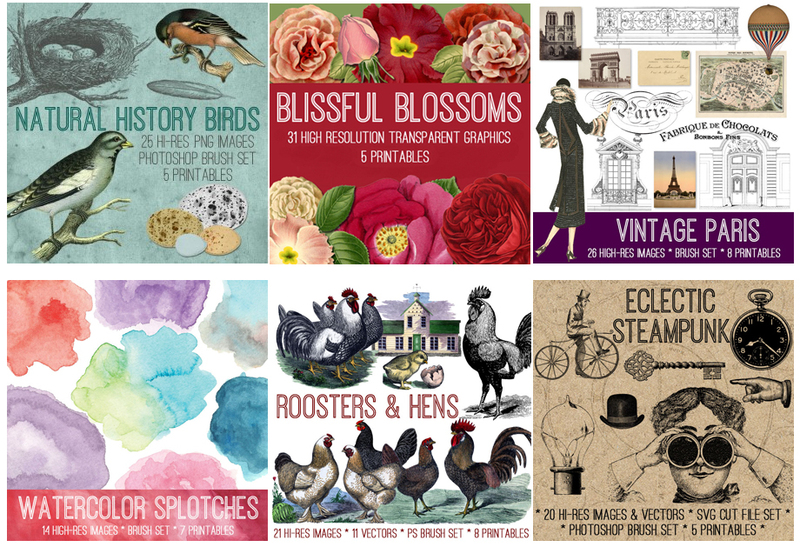 And 48 Amazing Photoshop Elements Tutorials, to teach you new skills for working with Vintage images in your art! That’s over 5100 files and 82 kits!!! 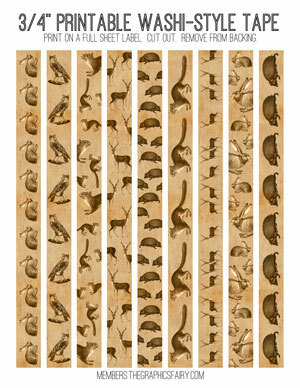 Vintage Monkey Banner Graphic – See no Evil! 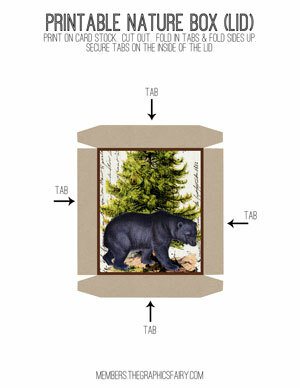 Cute Retro Elephant Advertising Graphics! Vintage Girl with Majestic Pet Lion Image!